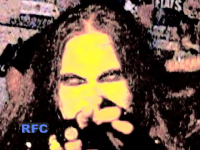 RFC 90: Ending The Year With A BANG! The show you see above this text (or here, if WordPress is being difficult) is our 90th episode over all, and our 34th this year! We decided to end 2009 with a bang. This show features new music from Eva Elution, WATT 4 and Drop Ded Phred, plus a new Kitty Killton short by Scott Elkins, fresh DEVO hat animation from Frank Panucci, and a plug for an upcoming series of Blues shows at the Plough Inn, in London….England. The host segments and the song by WATT 4 were shot at The Empty Glass less than 24 hours before this show is being posted here at PopCult. 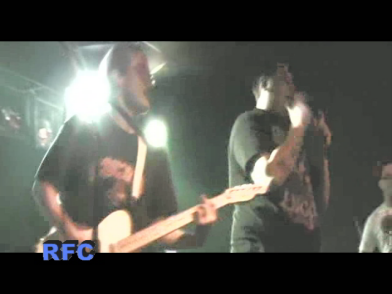 This is the first time we’ve had a multi-camera song by a band on the show with such a short turn-around. The Blues Series at The Plough Inn kicks off with Bad Town Blues on January 18th. 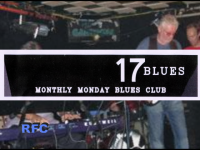 It’s the 17 Blues Monthly Monday Blues Club, and it’s a heck of a drive from here, so you’d better start soon. Of special note to Rich Ireland: there will be special deals on Fuller’s London Pride during the 17 Blues nights. Our first musical guest is Eva Elution. This soon-to-expand band includes Justin James, formerly of Seven Minutes Til Midnight, and Andy Parsons, late of Doctor Senator and DJ Rap. 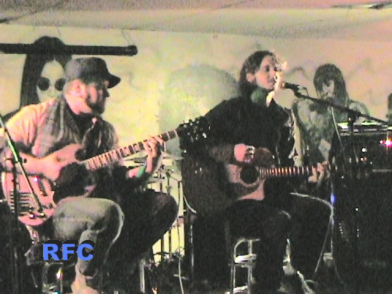 More members will be joining soon, but we caught up to them a couple of weeks ago at The Blue Parrot (the same night we recorded Melanie Larch with The Diablo Blues Band for the Christmas show), and we present their song, “Animal.” I’m sure we’ll be hearing more from Eva Elution in the coming months. Next we have “Kitty Killton’s Rules For A Happy Existence,” a short film by Scott Elkins, starring Chelsea Cook. Kitty Killton made her RFC debut back on episode 50, and we’re glad to have her royal trashiness back. In this short, Kitty imparts her rules for living. She’s so cute, she even keeps her Cheerios in a ziploc bag like my little nephew, Willy. 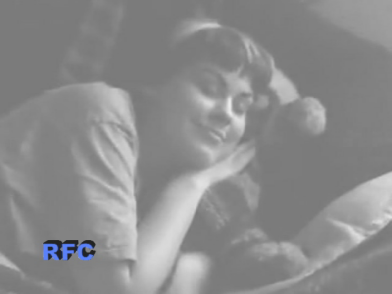 This is great campy fun, and you can expect more Kitty on RFC in the future. Our next musical guest was a big surprise. 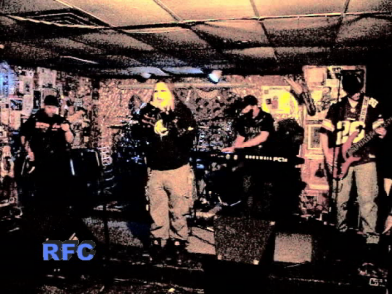 We hadn’t planned to include WATT 4 on this episode of RFC, but they are one of our favorite bands, and since they were hosting the open mic at The Empty Glass, and we shot our host segments there, we stuck around to catch the band, and decided to record them for the show while we had the chance, since they’re taking some time off from playing out to work on their CD. We got a killer rendition of their song, “Bad Situation,” and keyboardist Ryan Fletcher even kicked in our animation intro. Once their CD is ready, these guys are going to have a CD release party that’ll probably be one of the shows of the year. We’ll keep you posted as the details emerge. The animation in question is by Frank Panucci, with music by Rick Wakeman. It’s tumbling DEVO hats, which is really cool. Take our word for it. We wrap up the show, and the year, with a clip of Drop Ded Phred, one of my favorite bands that I’ve never been able to capture on tape. Luckily, Terry Bartley, of Bite The World LLC, was on hand when the band played a show in Huntington last October, and through the graces of Drop Ded Phred’s guitarist, Bryan Flowers (who does double duty with The Concept) we bring you the fury of “Diabetes” A couple of major naughty words slip through during the end credits, so parents should be advised to bail once the credits roll, unless you want your child to hear those two words they’ve been hearing every day at school. That’s it for this year on Radio Free Charleston. 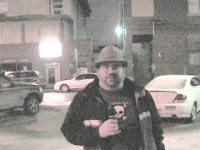 Check back in two or three weeks for the first show of 2010. Next year we will beef up the archives, so that all our shows are available, and we have some special surprises and tributes planned along the way. Plus, we’re just ten episodes away from a milestone. You really need to keep checking us out to see what kind of stuff we have planned. LOVE FROM ALL AT 17 BLUES CLUB WALTHAMSTOW LONDON U.K.